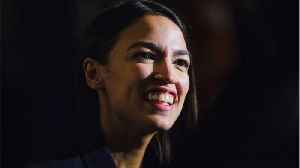 Freshman democratic lawmaker Alexandria Ocasio-Cortez on Monday appeared to agree with the idea that a world that allows for billionaires is not moral. Business Insider reports Fox News hosts are accusing Rep. Alexandria Ocasio-Cortez for her responses on the threat of climate change. Ocasio-Cortez is allegedly causing young people to question if..